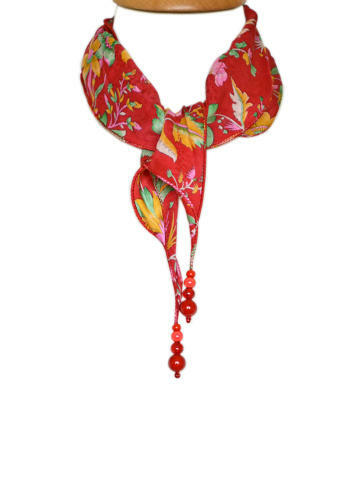 Add a splash of colour to a plain top with a smart and elegant silk Necklace Scarf. Neatly edged and a detailed zigzag stitch in the centre, it is finished off with coordinating beads on each end. Size: approx 125cm x 9cm tapering at the end.